This spring, Experimental Psychology researchers have been leading activities designed to provide young people with information, advice and support about studying at Oxford. 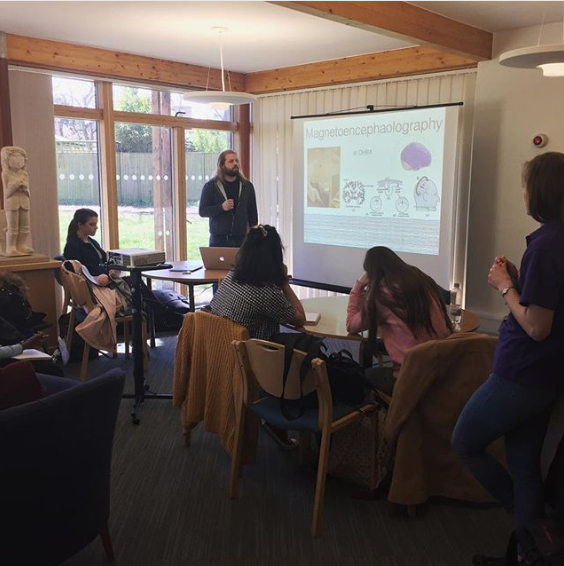 Over the early Easter break, Prof. Nele Demeyere and Prof. Kate Watkins represented Experimental Psychology at the Oxford and Cambridge Student Conferences, a series of free events for Year 12 students and their teachers which take place around the UK every Spring. Information sessions and informal chats covered subjects ranging from student life and financial support to the details of studying Psychology at Oxford and Cambridge, with student ambassadors and staff on hand to answer questions. Prof. Demeyere, who who attended the two days at Epsom, where more than 400 students attended the psychology information session, said “These days are incredibly positive. It was great meeting so many young people, to see the enthusiasm for psychology, and to help students realise they can (and should!) apply. The opportunity for them to talk to our current students is invaluable. Many of the helpers I met over the two days had themselves only applied to Oxford after having attended these sessions with their schools”. Meanwhile, Prof. Chris Summerfield presented a guest lecture to state school students taking part in the UNIQ Medical Sciences Spring School. 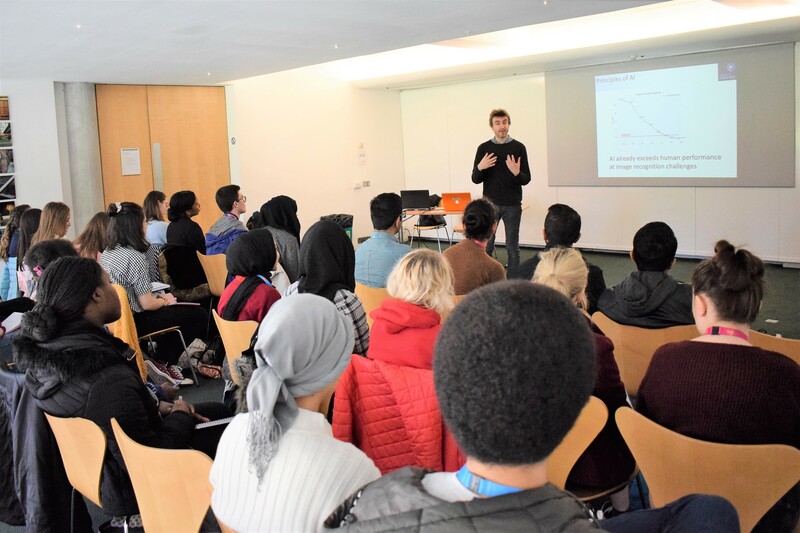 The UNIQ Spring and Summer School programmes provide students from state schools with a free residential week in Oxford, allowing them to experience taster sessions in the subjects that they are considering studying at university. The programme, which began in 2010, is aimed at high-achieving students from low socio-economic status backgrounds and/or from areas with low progression to higher education. It now helps 1,900 students each year to make informed decisions about higher education and make competitive applications to Oxford. Prof. Summerfield talked to an interested audience about how Psychology and Neuroscience are informing new research in the field of Artificial Intelligence. Later in the day, the students also visited the Oxford Centre for Human Brain Activity (OHBA) to learn about neuroimaging techniques. EP is looking forward to hosting more UNIQ students this summer, and to further outreach and public engagement activities – watch this space!